SO YOU WON $20 MILLION WILL YOU KEEP DOING WHAT YOU ARE DOING? I heard my heart say YES. I would be painting, creating, speaking and writing. Des then commented that that was the first time I had answered that question without reservation. In the past I have said no- I would just do my art and let everything else go. Yes I would have a holiday, buy a house with a new studio, hire my dream team, etc. And yes . I would still be doing what I wrote last week or maybe the week before, when I asked myself the question about being in alignment with my why. It has been my why for more years than I can remember. I let it go because I stopped listening to my heart and followed what those who I thought knew better because they were more successful- or looked that way. My task now is to blend this in a way that does make my heart sing every day. I know with $20 million I would have the best team of support staff to do much of what I do behind the scenes each day. My dream team. I visualised this scene today in my morning meditations. I also would be able to create change for so many through philanthropy. I just finished reading Malala – The girl who stood up for education and changed the world, yesterday. So Powerful. Today I meditated on the question again and then drew the Courage card. Courage comes when you listen to your heart whisper: Yes you can step up today and shine! • Have the courage to get out of your own way! • Let go to leap forward! • That is what you must do to do what you are here to do. Another version of this question is: Are you doing now what you are being called to do? Are you living your why? How did you answer this question? Did your heart answer YES? Would you like guidance in really discovering your why? Just message me or leave a commemt below and we can talk. Remember Open your heart to LOVE: DARE to DREAM again! 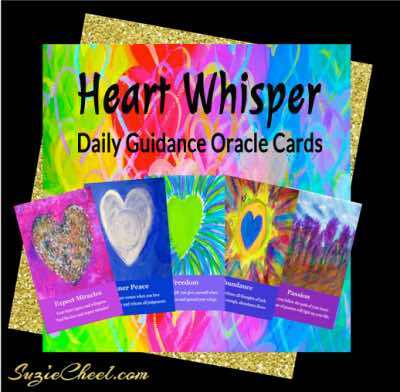 Suzie Cheel recently posted…DO YOU CHOOSE TO RECEIVE WITH JOY IN YOUR HEART? I would be doing the same thing as well, perhaps in a different location, but writing just the same. I write because I can’t not write, not to make money or get noticed. Great fun — and I love the expression, “freedom Friday!” Happy walking on the beach too! Hi! I would do what I’m doing now but bigger: to support professional women at all levels of management who are struggling to advance their careers, feeling underappreciated, and experiencing burnout and overwhelm. I help my clients through my coaching programs, workshops and retreats so they can feel supported, energized, and aligned as they pursue their most cherished professional and personal goals. With 20 Mil, I think I have a few things in mind… and lots of charities and causes to support. With 20 million dollars I would expand on the work my husband and I do together…much to extensive to go into here. Making a difference while here on this planet is the goal. I love money and what we can do with it, but non-attachment is key. Enjoy the experience and do good in the world. Such a wonderful clarifying question! I particularly love your picture of putting in place a great support staff. Right now that is where I am in need. My energy flags sometimes with doing some of the behind the scenes things, even though I’m good at it. I want the space and time to do more of the work I love: being with clients, writing, teaching. Thanks for this great post, Suzie! I love this discerning question Suzie and the challenge to live from our courageous hearts’ call! There are many of the choices I make with how I live my life that I would continue because they are in alignment with my purpose and bring me joy, but if I won $20 million dollars I would definitely work less and travel more. My challenge is to find ways to live into that vision today. Thank you for the nudge! Suzie Cheel recently posted…ARE YOU ALIGNED AND FLOWING INTO JOY TODAY? Oooh! Such a good question and fun to imagine! If I won $20 million, I would still do what I do now, but at a much more pleasurable, relaxed pace. It would be nice to write and spread the message of brain/mental health without feeling the pressure to have to do what appeals to the SEOs, get the most shares, and distribution. I wouldn’t change too much else. I’d have more yoga clothes, for sure, and I’d give most of it to help others. When we share abundance, information, caring, anything….we all win. Great question, Suzie. Winning the lottery would certainly change my life. I love what I do, so would continue supporting the causes that are important to me. That is what could be helpful about winning millions of dollars in that you could help others in a bigger way. There is no question that $20 million would change my life. I’ve often thought about having such a large sum and how would make so many things possible for the things I support and believe in. At a certain point in life, you get past the material things and see the value of how much more greatly you can contribute to the world. But, even if $20 million did not come my way, I’d still do what I’m doing. and be happy about it. People who are passionate about their work would welcome the 20 million for its value in helping them do more of their work, Suzie. That was Mother Teresa’s joy when she was awarded the Nobel Prize and this isn’t for celebrities alone. There is a program in India where the MC is a famous Indian film star who also endorses social causes called in a loose translation = who will become a crorepati. It is a quiz show and yesterday there was a contestant who was specially invited to participate because he provides free tuition and food for underprivileged children to help them get into premiere engineering colleges in India. He won Rs 2.5 million yesterday and his joy as that of the audience was worth watching because the money he won will help him help more children. Money is a friend!